Ramos’ bizarre defense of immigrants’ desires to enter and reside in the U.S. illegally seemed to attribute an unrealistic sense of altruism to their decision-making process. When Wallace pressed Ramos about the criminality of the illegal aliens being prioritized for deportation, Ramos insisted that he did not condone violent criminal aliens. Nevertheless, the Univision anchor attempted to justify some of non-violent criminal actions illegal aliens take part in once they’ve entered the country. 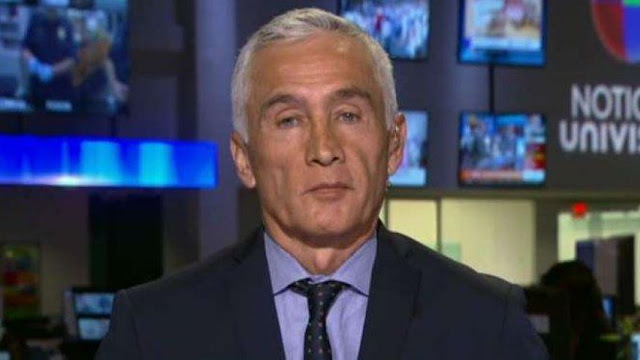 Although he admitted that “it is a crime” when illegal aliens get a false social security card, papers, or drivers’ license that allow them to receive government benefits, Ramos seemed to try to justify such behavior. Ramos continued his unusual defense of illegal entry into the U.S. by attempting to pin part of the blame on the 45th president. "The problem, Chris, is that President Trump is criminalizing the immigrants in this country," Ramos insisted. Ramos' defense came the same day that Trump reinforced his commitment to cracking down on illegal immigration during a speech at the Conservative Political Action Conference (CPAC). "You see what's happening at the border. All of a sudden for the first time, we're getting gang members out. We're getting drug lords out. We're getting really bad dudes out of this country, and at a rate that nobody's ever seen before," Trump said. "We are getting bad people out of this country. Whether it’s drugs or murder, we are getting bad people out and I said it from day one. Basically, all I’ve done is keep my promise."